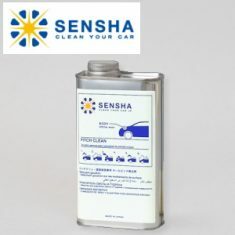 PITCH CLEAN - SENSHA CO., LTD.
As easy as just apply, wait and wash it off, all tar and pitch will be dissolved and leave no scratch on surfaces. 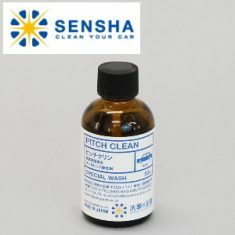 Pitch Clean provides the totally new and different approach to remove tar and pitch. A traditional way to remove tar and pitch was using clay or towels and rub off tar and pitch. This way might risk to scratch the surface. 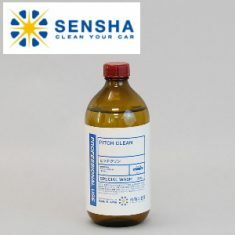 PITCH CLEAN dissolves tar and pitch. 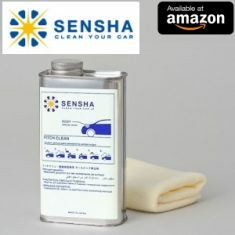 After you apply the liquid, wait for a bit and all you need to do is wash it off with water. 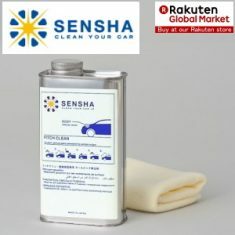 So, rubbing isn't necessary and avoid scratches. 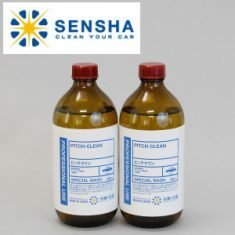 Pitch and tar are a type of oil that are stuck and hardened on surfaces. 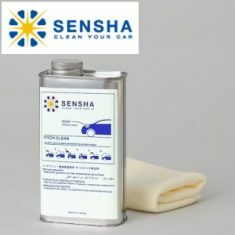 Since they are oil based, they cannot be removed by normal car washing processes. 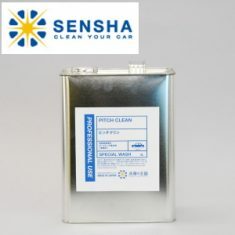 Pitch Clean is produced to wash away them with running water. 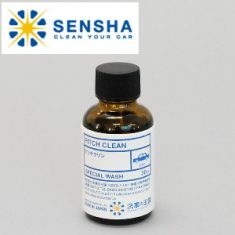 When Pitch Clean is applied, it will start infiltrating the tar and pitch that stuck on surfaces and dissolving them. 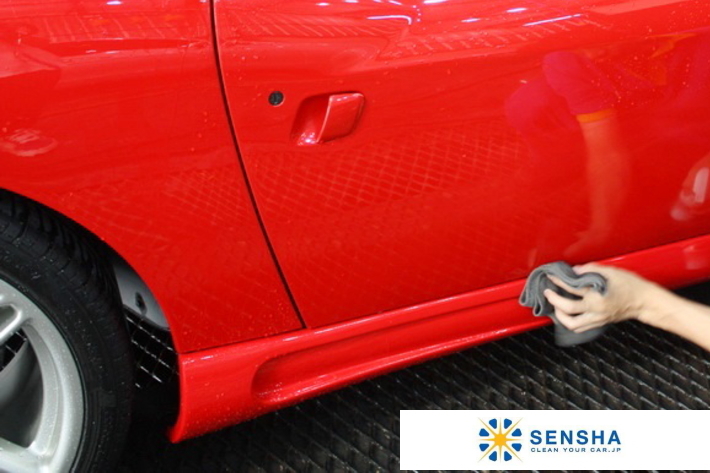 Furthermore, Pitch Clean has the characteristics that when it contacts with water, it will emulsified and can be washed off by running water, thus, if you apply the product before washing, tar and pitch being dissolved are washed away with normal car washing processes. Please read the instruction manual attached carefully. 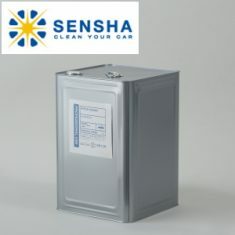 By following this, everyone can obtain the same effects and finishing with simple steps.